Happy Pride! Let’s all celebrate lesbian, gay, bisexual, trans, queer and two-spirit (LGBTQ+) communities in Canada and around the world. LGBTQ+ communities are represented and welcomed across Big Brothers Big Sisters in Canada in our staff, mentors, mentees, board and community members. I also acknowledge that things have not always been this way. Change can be difficult. Often a 100+ year old organization like ours is slow to move forward because of the history that has made us who we are today. That said, change for the better is important, and necessary. It is how we stay accountable to our stakeholders, to our communities, and to the more than 40,000 children and youth we serve annually. This year, we are proud to have renewed our commitment to being more equitable, diverse and inclusive in the work we do. We launched a three year plan to review and revitalize various aspects of our organization so that we better reflect and better serve the diverse communities of which we are a part. Within our commitment to being equitable, we are taking time to pause and reflect about where power and privilege lies in our communities and how colonialism, systemic racism, intersectional oppression, heteronormativity, cisgenderism and xenophobia are realities for many of the diverse communities with whom we work. Several communities in Canada have a history of being oppressed, feeling invisible, being under represented, and feeling marginalized. 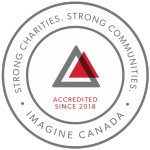 As a National mentoring organization, we have a vested interest in improving the lives and outcomes for children and youth across the country, including those from Indigenous communities, from newcomer, immigrant and refugee communities, from Black, African and racialized communities, as well as from lesbian, gay, bisexual, trans, queer and two-spirit (LGBTQ+) communities. This is only possible through their involvement in mentoring programs that are culturally proficient and that acknowledge, honour and celebrate them, their communities, and their stories. I am proud to be a part of an organization that is reaching out, engaging, reflecting, and changing. I am also proud to stand in solidarity with the entire Big Brothers Big Sisters network across Canada in our commitment to creating safe spaces and opening minds. To each and every person celebrating Pride, know that Big Brothers Big Sisters is celebrating with you – now, and every day of the year.